These are so comfy especially when I'm on a bike. They stay put and aren't too tough to move in! These are my absolute favorite yoga pants. They're slimming (bonus!) and super comfy! Stay in place no matter what workout I'm doing. 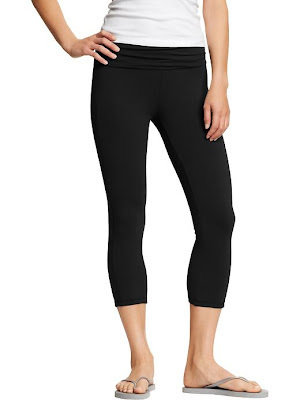 I've worn them to Zumba, Yoga, Weights, & Biking and they are perfect!! This is my favorite sports bra so far. It holds everything in place & doesn't move... it's a miracle! Next week I'll be posting my favorite workout shoes & tanks!